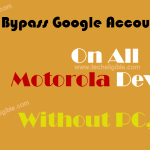 You can now easily Bypass Google Account Moto E5 Plus with latest talkback version, because in latest talkback version, there is no help & feedback option, and that is the reason people are unable to access chrome browser and download frp bypass tools, but in this method we will show you new way to bypass frp lock moto E5 Plus without any interruption. This method will work perfectly to bypass frp lock Motorola E5+ (XT1924-8 | XT1924-7 | XT1924-6). ♦ Connect Wi-Fi in your Moto E5 Plus device. ♦ Go back to first “Welcome Screen”. ♦ From bottom, tap on “Vision Settings”, and then tap on “Talkback”. ♦ Turn on “Talkback” option. ♦ You will receive talkback tutorial popup screen. ♦ Draw “L” using your finger by swiping down to right. ♦ You will receive “Global Context Menu” popup screen. 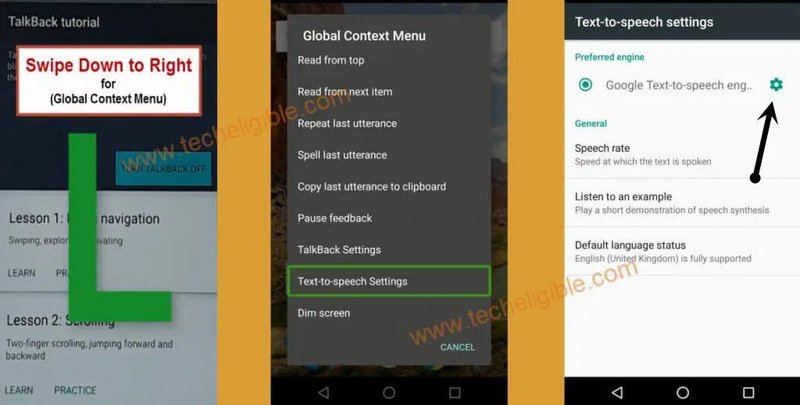 ♦ Double tap on “Text-to-Speech Settings”. ♦ After that Double Tap on “Settings Gear icon”. ♦ Press & Hold both (Volume UP + Volume Down) keys together until you receive popup screen. ♦ Double tap on “User Shortcut”. 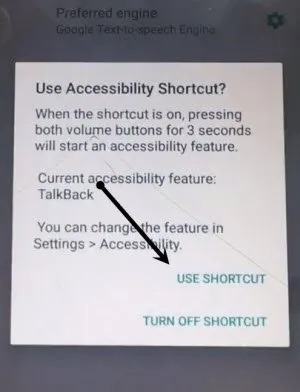 ♦ Now Again Press & Hold both (Volume UP + Volume Down) keys together until get popup message of “Accessibility Shortcut Turned Talkback Off”. ♦ Type there url “www.youtube.com”. 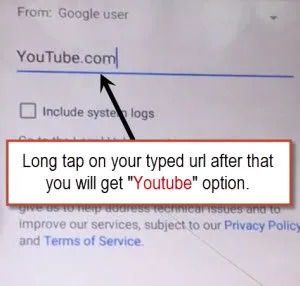 ♦ Long tap on your typed url and you will get “Youtube” option to select on. ♦ Just tap on that “Youtube” option and you will be redirected to youtube official website. 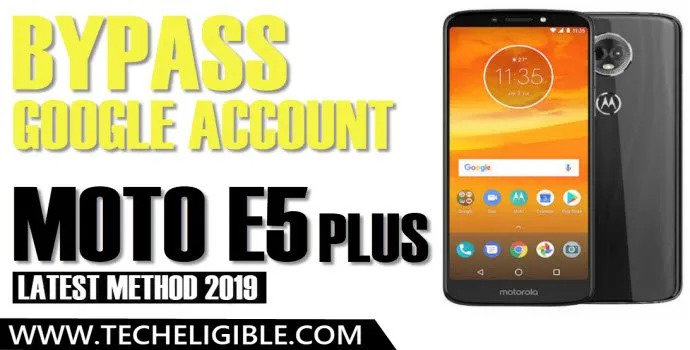 ♦ Now we can easily Bypass Google Account Moto E5 Plus. ♦ From chrome welcome screen, tap on “Accept & Continue”, and then tap on “Next”, at last tap on “No Thanks” from bottom left corner. ♦ Type in address bar “Download FRP Tools“. ♦ Go to first google search result. ♦ Scroll down & download from there “Account Login” apk app. 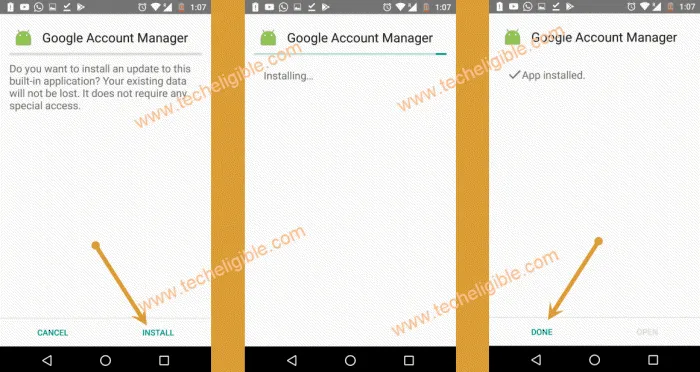 ♦ Once downloading finish, scroll up and tap on “Google Account Manager Latest Version from 8.1 to 4.0” to download. ♦ You will taken to the google account manager page. ♦ From there, download “Google Account Manager 8.1“. ♦ Wait until downloading finish. 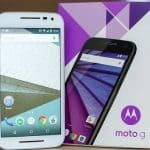 ♦ Now final step to Bypass Google Account Moto E5 Plus is just to install both downloaded apk apps in your Moto E5 Plus device to remove Moto E5 FRP Lock. ♦ Tap on “3 dots” from chrome browser top right corner. 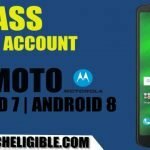 ♦ Select “DOWNLOADS” to access download folder of your MOTO E5 Plus device. ♦ You can see there both downloaded apk apps. ♦ Tap on “Google Account Manager 8.1”, and you will see chrome popup screen, just tap on “Settings”. ♦ Enable the option of “Allow from this source”. ♦ Perfect, you have successfully installed the Google Account Manager 8.1 app. ♦ Tap on “Account Login” app, and then tap on “Install”, and after that tap on “OPEN”. ♦ Add new gmail account just by tapping on “3 Dots” from top right corner & select “Browser Sign-in” option. ♦ You will be taken into the browser sign in page. 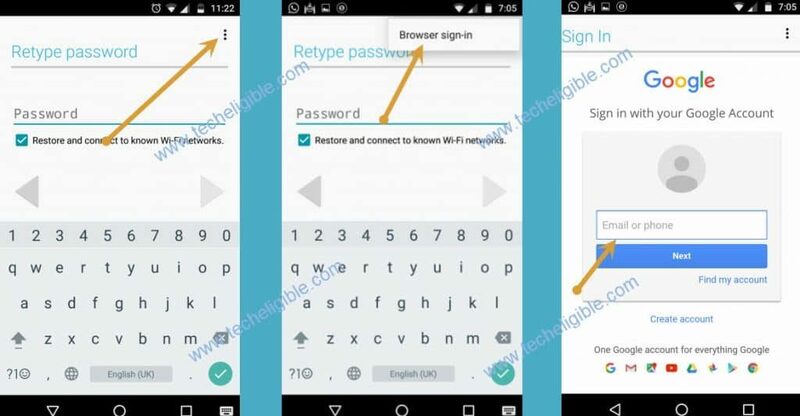 ♦ Enter your new Gmail Account there to Bypass Google Account Moto E5 Plus and Remove Moto E5 Plus FRP Lock. 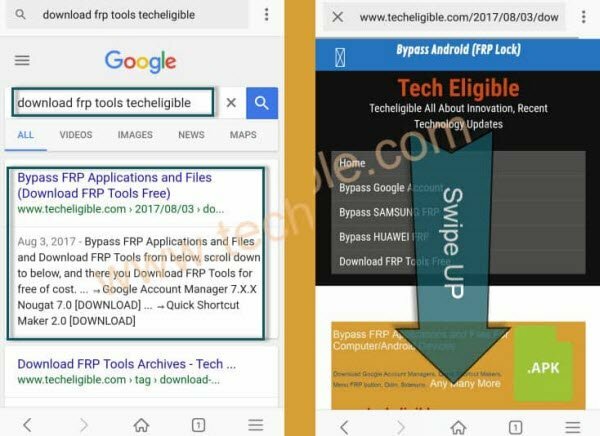 ♦ Congratulations, you have successfully bypassed google frp lock from your Moto E5 Plus device, now you can restart your device just by long press power key. ♦ After that, complete initial setup to access your device home screen without any frp lock interruption.